Football is the world’s game. Wherever you are on earth there will be a group of players, a ball and a pitch. Stuart Fuller has set out to find as many as possible. In this second volume, Stuart casts the net wider than ever before, taking in games on four different continents. Be it popular European destinations in Germany and Belgium, getting lost trying to find a game in Hong Kong, or waiting for a referee to cross the Spain-Gibraltar border, Stuart makes the trip so that you don’t have to. 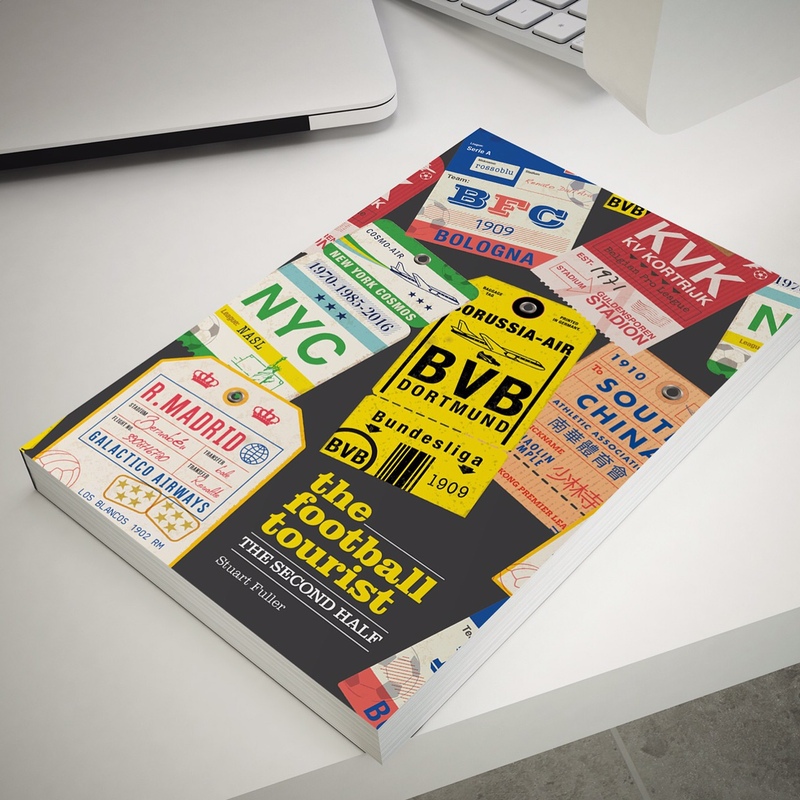 Part travelogue, part love letter to the beautiful game, this book is a must for any aspiring football tourist. “Some years ago I came up with a brilliant idea for a TV show. It would be a six-part, travelogue around the smallest nations in Europe watching football. On my way I would take in the local culture, and, of course, the local food. A camera crew would follow me from the airport as I experienced such cultural highpoints as Lichtenstein’s false teeth museum, San Marino’s homage to medieval torture, and the bar in Malta where Oliver Reed fell off his bar stool for the last time; a sort of cross between Michael Palin, Alan Whicker, and James Richardson. It was a certain winner, so I sat back and waited for the bidding war to start. Six months after my letters were dispatched I hadn’t had one single reply. Not even UK Conquest were interested, and they bought the rights to Howards Way. But I wasn’t going to be beaten and set off on a journey across Europe. The Super Cup in Monaco, sitting next to Gerard Houllier as AC Milan beat Porto, arriving by helicopter from Nice Airport was nice. Staying in the same 5 star hotel as Sepp Blatter, in Lichtenstein, prior to their game against Turkey was good. Seeing San Marino come within 15 seconds of grabbing their first ever point in a major tournament qualifying against Latvia, and then enjoying a treble-header in the national stadium in Malta, with the over-amorous wives of some of the players. Andorra passed without any incident which basically sums up the sleepiness of the principality. Then life got in the way. Interest in finally completing the mission was peaked again in early 2014. I dusted down the draft proposal and prepared to finish off the job, as Gibraltar were finally being accepted into the world footballing family, and the British Overseas Territory would be number six on my list of the smallest footballing nations in Europe to visit. Gibraltar has a population of just 30,000, about the same size as Lewes and Peacehaven put together. 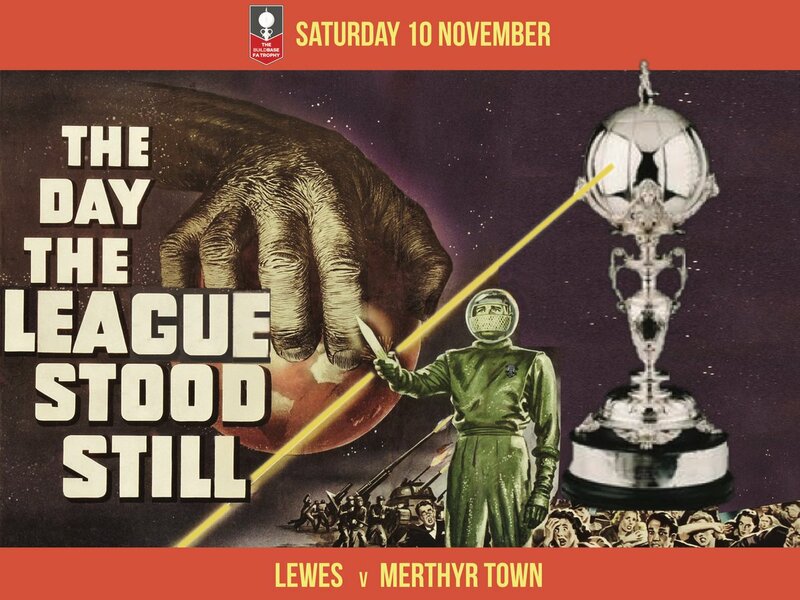 That makes supporting a football league quite difficult, tough. Add in the fact that there is only one stadium and you can start to see some of the problems they have to compete with. What it does mean though is, on any given weekend, you will always be able to find a game or six at the national stadium, the 2,000 capacity Victoria Stadium adjacent to the airport runway. This season, as part of the benefits package they get from being in the UEFA-affiliated club, the winners of the Premier Division will get a place in the Champions League, well at least the extra-preliminary forgotten round of qualifying, where they will probably play the winner of the Andorran Lliga de Primera in June when football is a million miles from everyone’s thoughts. Eight teams make up the Premier Division meaning that qualification for Europe, with a spot in the Champions League and Europa League is possible for all of the sides. All except one it seems. With just over half of the season completed, one side sit all alone at the bottom of the league with a 100% loss record. Gibraltar Phoenix were promoted last season but are almost nailed on certainties to go back to where they have come from at the end of the season. In their last two games they had the displeasure to face league-leaders Lincoln. The good news was that they did manage to score a goal, increasing their goals-for tally this season by an impressive 33%. Unfortunately, they managed to ship in a total of thirty-two goals at the other end. I was sold – I was heading to see Gibraltar Phoenix play. The question was – should I take my boots? My friend Andy had bunked off work for an hour to pick me up in his British Jag, imported from the UK, to give me the 30 minute whistle-stop tour of the Rock. First up was a visit to Europa Point, the most southerly tip of Gibraltar and home to a bloody big gun and the Gibraltar Cricket Club. But not for much longer. If the Gibraltar Football Association get the funding this will be the location of the new 10,000 national stadium. Today it is a barren patch of very, very expensive land. Andy used to call Cambridge home but he has now swapped that for the tax haven of Gibraltar. He lives in a flat with a view of the sea, overlooking the landing point where Nelson’s body was eventually brought to shore, spending his spare time sitting on his balcony watching the ships pass by. Not that it is all relaxation and cruising the roads of the Rock in his Jag. He sometimes has to work, wandering into the office in Ocean Village, overlooking the marina, O’Reilly’s Irish Bar and Gala Bingo. Tax-free beer did I hear you say? Absolutely – £2 a pint if you please. Could life be any better? Well, throw in free Wi-Fi almost everywhere (which uses British IP addresses, thus you can use iPlayer and iTunes! ), free car parking, free leisure activities and free football. You would think that life here is idyllic, but there is the other side to being a tax-exile here. As Andy said “Everything seems nice but if you take a closer look things are a bit crap”. Projects would be started and grind to a halt or never get off the ground at all. It also appeared that it was incredibly expensive to live here. Accommodation (both permanent and temporary) across the border in La Linea was abundant and cheap, but the current strife with Spain meant it was impractical to commute across the border when delays could be up to two hours each way depending on the day of the week, the weather, or simply what had been on TV the night before. According to the website this game was supposed to kick off at 8pm. I say “supposed” because we arrived late (around 8.15pm) and thus missed the start. But we soon smelt something fishy when the game appeared to be entering its 60th minute in the first half. We eventually found a supporter who could shed some light on the delayed kick off, or at least this opinion. “Referee lives in Spain doesn’t he? So he got delayed at the border. Game kicked off at 8.15pm”. Fifteen minutes into the game and the score was still goalless. Whilst the home goal was being peppered with shots, only Phoenix keeper, Tito Podeta, stood in College Europa’s way. It took a few words from the side lines before they finally opened the scoring. And once they had the flood gates opened. One-nil (22 mins), two-nil (29 mins), three-nil (30 mins), four-nil (34 mins), five-nil (39 mins) and finally six-nil just before half-time. Seven became eight and then nine, although there was an element of greed starting to creep in from the College players who frequently elected to take the ball themselves when their five man attack (everyone wanted a slice of the action) broke. An injury to one of the Phoenix players gave them a chance to have a breather (and in one case a quick puff on an inhaler). With fifteen minutes to go Phoenix made their final substitution, taking off one of the more athletic players on the pitch and replacing them with a chap who had gloves on and had to hand his inhaler to the coach. Alas it didn’t do any good and, despite us willing them to score, all of the action was still at the other end as College Europa scored two more goals to make the final score eleven-nil. Quite what the score would have been if their keeper hadn’t played a blinder I don’t know, or if College had hit the target instead of striking the woodwork on six occasions. Despite the final score you cannot fault the effort of the home side, especially the heroic performance of Podeta. It takes some bottle to take to the field every week knowing that you are likely to be on the end of another hiding. I’m still waiting for someone, anyone to show some interest in my TV show. The Football Tourist 2: The Second Half is available from Ockley Books priced £10.99. This entry was posted in European Football and tagged The Football Tourist. Bookmark the permalink. Do Premier League clubs need fans at all? Very Attractive post for Football Lovers. “It took a few words from the side lines before they finally opened the scoring. And once they had the flood gates opened. One-nil (22 mins), two-nil (29 mins), three-nil (30 mins), four-nil (34 mins), five-nil (39 mins) and finally six-nil just before half-time.” This is amazing.